A video search engine that actually scans video content to find specific events. BetterWorks is an integrated enterprise software designed to improve workplace efficiency and performance. Clients can set and track corporate goals for the entire company, departments, and employees. Course Hero We empower students and educators to succeed through course-specific study resources and 24/7 homework help. Danger, Inc. was a company specializing in hardware design, software, and services for mobile computing devices. Online file storage (cloud storage). Allows users to access important files from any PC or mobile device through cloud storage on the web. With its Government Relationship Management (GRM) Platform, FiscalNote enables government affairs professionals and executives to maximize their influence on legislation and regulatory policy through automation; optimization; and the delivery of analytical insights. Guardant360 is the only biopsy-free tumor sequencing test that tracks tumor genomics in real-time. Guardant Health is committed to positively and significantly impacting patient health through technology breakthroughs in oncology. NatureBox is building a personalized food shopping experience online that caters to the consumer’s taste and dietary preferences. NatureBox is initially focusing on the $64B snack food category. By creating its own line of products, NatureBox intends to build a multi-channel and multi-category brand in the food industry. Hippo is redesigning home insurance for the modern household. We make it easy to buy entirely online with no pushy agents and we’ve redesigned the coverage from the ground up to fit the modern household, removing things people don’t own anymore (like pewter bowls) and increasing coverage for the things that modern households have (like computers, home office, bikes). Building a robot prototype to predict and prevent crime by using robotics, predictive analytics, and social engagement. Online peer-to-peer lending allowing members to directly invest in and borrow from each other. Matcha Matcha is a second-screen video search and recommendation service for movies, TV shows and other video content. 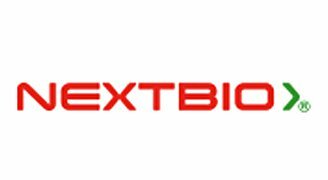 NextBio NextBio is a software company that provides a platform for life science researchers to discover and share knowledge. Nor1 Nor1 provides data-driven upsell technology solutions that provide customer insights for the travel industry. 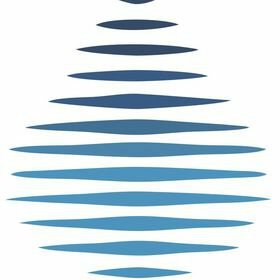 Slice Labs Inc. is an insurtech startup set to provide the world's first on-demand, pay-per-use insurance platform for the on-demand economy that is cost-effective, easy to acquire with a tap, and provides superior coverage. Tenor Inc Tenor’s GIF search engine helps you find the perfect GIFs to express your thoughts & feelings in mobile messaging conversations. With more than 12 billion monthly searches and 300 million monthly users, Tenor is the largest & fastest growing mobile GIF search engine. In a world that largely operates through texts and social media messages, Tenor adds emotion to digital conversations by helping people find the perfect GIF to communicate their mood & personality. Viewics provides unprecedented access to disparate healthcare data to surface actionable intelligence and empower data-driven decision-making. Through expertise and focus on healthcare analytics, Viewics delivers proprietary, best-in-class technology for data extraction, cleansing, and transformation to quickly unlock insights that deliver invaluable operational and financial impact, while reducing burden on IT. 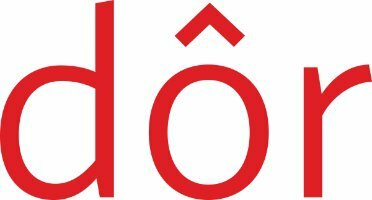 Vidora is building the future of online experiences - where every user will experience a completely unique app or website - personalized and tailored to the viewer. These experiences are driven by big data, machine learning, and artificial intelligence. Our technology requires no integration work - anyone can start using Vidora and enabling 1:1 consumer experiences in minutes. By combining the resources of the Web and the immediacy of local stores, Milo.com makes it easy for shoppers to research the best products, find the right prices and check where products are available near them. Shoppers save time and money, get to see and try products before they buy them and get the product they want right when they want it. 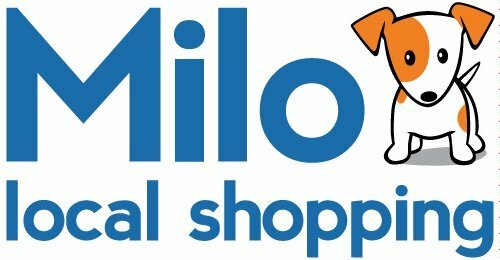 Retailers with products listed on Milo.com can better compete with e-commerce and can use the Site to drive valuable intent-based foot traffic into their stores. Based in Palo Alto, Calif., Milo.com boasts leadership from comScore and Google, and is backed by True Ventures and prominent Silicon Valley investors and entrepreneurs from Mint.com, PayPal, Yelp, YouTube, and others. IndoorAtlas has unlocked the secret of positioning based on the earth's magnetic fields. We can provide an unprecedented accuracy level of 3-6ft at 90% confidence level and ZERO additional infrastructure. Indoor positioning made ubiquitous. The positioning service powering location-based apps worldwide. At Ellie Mae, we’ve been changing what’s possible in the mortgage business since 1997. And while the industry has changed, our mission to automate mortgages so lenders can achieve compliance, quality and efficiency hasn’t. Nor will it. We serve banks, credit unions and mortgage companies of all sizes. We’re committed to our clients. We’re committed to the mortgage business. And we’re committed to innovating how mortgage professionals work, and work together, to originate, process and close high-quality, compliant loans. Honey is a beautiful and intuitive social intranet. Built to connect global teams, share resources, simplify team conversations, and support employee workflows, Honey makes internal communications easy. Wherever, whenever, however a traveler wants to get around, Mozio aims to help her find and book the right option for her. From on-demand rideshare services to public transportation, trains and more, Mozio is working on enabling people to get around, regardless of what mode of transportation they choose to use. Starting with 2500 airports around the world and now expanding to cities, Mozio is building the infrastructure needed to enable people to seamlessly find and book ground transportation worldwide. 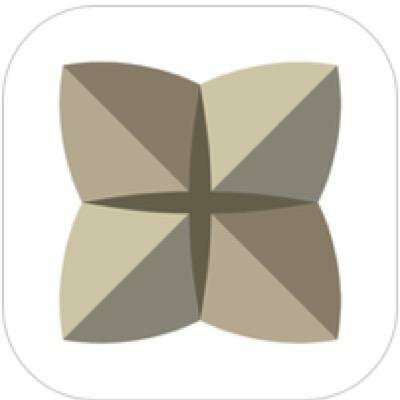 Micello is an award-winning company building the worlds largest collection of indoor maps; which includes places like shopping malls, airports, college campuses, hospitals, museums, business campuses, conferences, and many more. We are headquartered in Sunnyvale, CA and have multiple offices around the world. Our collection of indoor maps is available for you to use in your own web or mobile applications. Visit our developer homepage to find out more about the map APIs. Breinify is a time-driven AI engine for predicting and acting on an individual's highly dynamic interests. The technology blends traditional machine learning and AI techniques with a complex temporal foundation so the engine can learn, react, and make extremely granular intelligent decisions that vary for each individual at any time. Virool is world’s first viral video ad network that allows companies to distribute video content through a series of online publishers. COMMERCE.AI is the artificial intelligence that sees, reads and listens to the world’s product information. The platform uses proprietary deep learning technology to automate product related decision-making and workflows for retailers and brands. Our team previously founded a successful commerce technology startup that got acquired as part of $340M deal. ReadyPulse is the leading platform that provides mastery of social influencer marketing. Period. Enjoyed by the world’s most loved consumer brands to effectively market today’s socially inspired customer, the ReadyPulse platform provides a comprehensive range of tools that find the best people and user-generated content on social networks, amplifies both to promote products in an authentic manner and delivers a variety of campaign options to grow brand awareness, conversions and revenue. From deploying authentic social photos across websites, shoppable Instagram accounts, to delivering brand ambassador programs, ReadyPulse provides a toolbox filled with the loudest voices and content in social. VUDU, Inc. provides digital technologies and services that deliver Internet entertainment to consumers' HDTVs and home theaters. It offers VUDU Box and VUDU XL, which provides access to movies and TV shows; and VUDU Wireless Kit, which connects VUDU box to the Internet. The company also provides accessories, such as replacement remotes, power adapters, and power supplies and AC cords. It offers its services through movie studios, independent studios, and distributors. The company offers its products through its authorized installers and online. VUDU, Inc. was formerly known as Marquee, Inc.
xAd enables real-time, location-based marketing, without the guesswork. Working with xAd, marketers can deliver more relevant, personalized messages to the right people they want to reach, based on the real places they visit everyday. Each month, xAd's patented location platform helps marketers reach over 300 million people globally via more than 30 thousand popular mobile applications. With xAd, marketers can say goodbye to assumptive marketing and reach the right people at real places in real-time with precision, relevance and confidence. Platform for mobile developers and a leading provider of monetization and distribution serives on the iPhone, Android and other emerging mobile platforms. 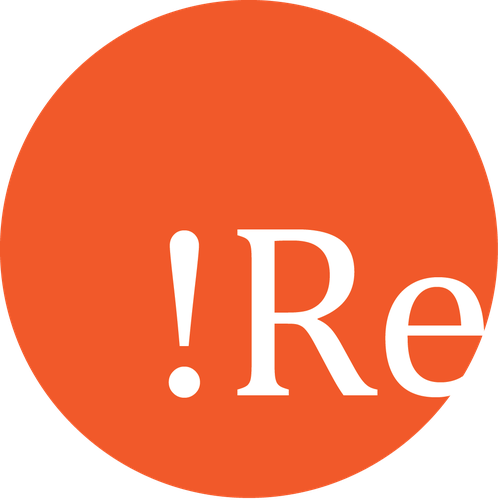 Retrevo is a shopping site focused solely on consumer electronics search, discovery, recommendations and purchase. The site, which is now one of the largest consumer electronics shopping and review sites online, used machine learning and Big Data Analytics on large scale private and public unstructured data to derive product insights on a daily basis so consumers always got the guidance that was comprehensive, current and objective. Internet analytics program: AddThis platform enables publishers to distribute and track digital content such as web pages, widgets, and videos to social networks. Vinli is a universal connected car platform that offers in-vehicle connectivity and the largest ecosystem of apps and services. As the first open platform for the car, we transform vast amounts of vehicle data and create value throughout the automotive supply chain, including OEMs, dealerships, service shops, carriers, fleets and most of all developers and drivers. Mojio is the leading open connected car platform. 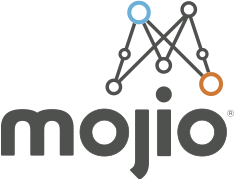 The Mojio Platform enables the rapid deployment of secure and scalable aftermarket connected car services for enterprise customers, including wireless carriers, auto manufacturers, car dealers, insurers and fleets. airXsys is a smart parking monitoring and management system designed to identify empty parking spaces and monitor traffic in real time. splitsecnd is the most simple and effective portable crash response, emergency service, and trip monitoring device on the market. The device immediately calls emergency responders if you are in a crash and directs them to where you are. splitsecnd is the most simple and effective portable crash response, emergency service, and trip monitoring device on the market. The device immediately calls emergency responders if you are in a crash and directs them to where you are. It also allows you to monitor the whereabouts of a driver you care about from any smartphone, tablet or computer; and allows drivers to call for help 24/7 with the push of a button. splitsecnd comes right out of the box ready to plug into the 12V outlet of any vehicle, no matter the make, model or year. Artificial intelligence platform that helps people explore cities using simple, natural language. Wingz connect people with a driver they know, like and trust, for all the needs of the family. ParkWise is a crowd-sourcing mobile app providing drivers with real-time info about available and soon-to-be available street parking spots. As well as parking regulations and notifications at their parking location. Built on the vision of creating the global standard for wireless charging, HEVO’s mission is to accelerate the adoption of electric vehicles through the deployment of its wireless charging network. People, planet and power represent the core values of HEVO's business, products and services. By providing a fast, safe and affordable wireless charging network that delivers locally resourced energy to customers with electric vehicles, HEVO and its partners will lead the transportation evolution. Fingertip's Lab first product is O6. O6 is saving lives and protecting our roads from one of the leading causes of fatal crashes- distracted driving. O6 not only protects drivers but also adds productive time to your day by letting you stay connected during your commute, work-out or chores while still allowing you to focus your eyes on your environment. Driveway invented Smartphone Telematics. Driveway developed and patented the technology that enables insurers to measure and reward good driving behavior without the need for a plug-in device in the car. CloudCar™ provides the most powerful platform for building next generation connected vehicle experiences. Caruma is a powerful vision-based connected car platform that uses the underlining technologies found in autonomous driving vehicles to improve safety and security for the 1.2 billion vehicles on the road today, as well at those envisioned for the future. Accelerating auto manufacturers' development of feature/cost-competitive EV's via energy-dense, highly-manufacturable, cost-effective, standardized 'slide-in' battery modules. WaiveCar is the worlds first all electric and FREE car-sharing service. We are like Zipcar but centered around electric bikes where we get higher usage then standard bike share because users don't have to sweat. Savari makes cars "talk" to each other and their environment by providing V2X sensors to car manufacturers and cities. PROME Inc, a multinational technology company headquartered in California, invents, develops and sells Artificial General Intelligence software. NextInput offers the best 3D Touch / Force Touch solution in the market. 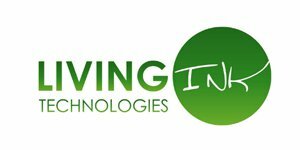 Innovative THz sensing technology for continuous, remote and contact-free vital signs and well being monitoring of driver and vehicles occupants. German Autolabs embrace artifical intelligence to shape the mobility of the future and make it more human and safe. 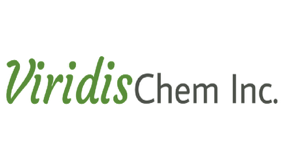 GBatteries developed ActiveBMS, a charging technology that enables li-ion batteries to charge extremely fast while extending their life and improving safety. This technology enables electric vehicles to charge in nearly the same time it takes to fill up a tank with gas. eMotorWerks is the creator of JuiceNet - a market-leading IoT platform that organizes distributed networks of electric vehicles into multi-megawatt Virtual Power Plants providing critical demand flexibility services to utilities and grid operators. Data driven logistics platform and tools that significantly boost the productivity of brokers, forwarders and warehousers through AI and automation. AutoX is a high tech start up focusing on creating software solution for self-driving vehicles. Algolux provides an optimization-based platform for tuning vision systems. XapiX helps enterprises boost sales and partner engagement by opening easy-to-integrate digital services from their legacy systems. Electric vehicle and energy management tech company. 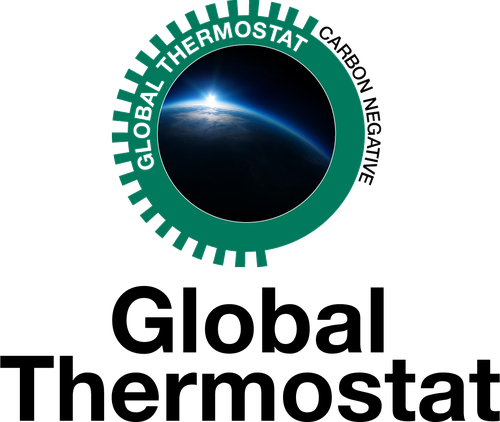 Trillium is a Designer and Provider of Custom, Multilayer Adaptive Cyber-systems. Specialising in Vehicular & Transportation applications for the vehicles of today and tomorrow. TacSense has developed the world's most sensitive and flexible pressure sensing technology, known as Supercapacitive Iontronic Sensor (SCIS). StreetLight Data sells big data-as-a-service for transportation. 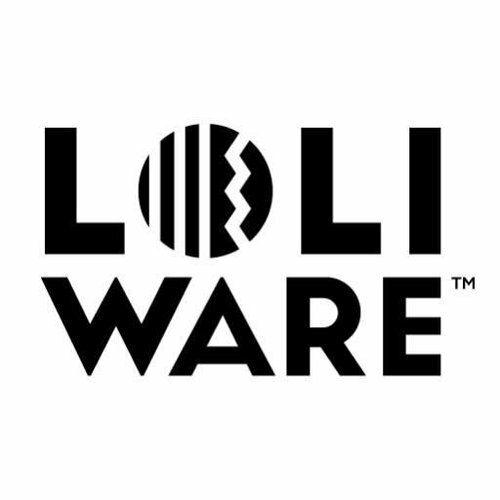 We license massive amounts of anonymous data from mobile phones, connected vehicles, and IoT devices. 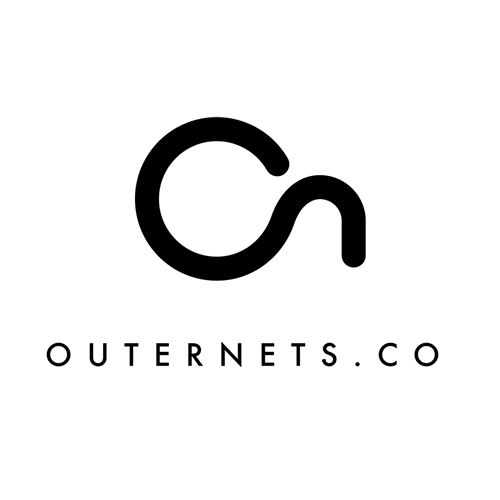 SHEnetics (SHE.ai) is a technology and solutions provider for advanced voice-driven Conversational AI interfaces for automotive, avionics, hospitality, consumer technology and healthcare. Preteckt is a hardware and software solution that allows vehicle fleets to predict maintenance problems weeks before they can cause an on-the-road breakdown. We're building a safer future of transportation. Olympus Sky built Autonomous Key Manager (AKM) which is a low-power, low-latency, minimalist footprint, certificate free, cryptographic key management solution. An intelligent voice assistant for enterprise. Mycroft is the open alternative to Siri or Alexa. Mirada builds LiDAR vision systems for transportation with reliability and scalability to enable an autonomous future. We change the way people interact with technology by developing fabric-covered 3D multi-touch interface. Self-driving vehicles for last mile logistics. DeepScale develops multi-modal sensor fusion powered by deep learning to push forward advanced and autonomous driving capabilities. DeepMap provides a robust, full-stack HD mapping service for self-driving cars. Dagmy Motors is making performance high-range electric vehicles affordable. 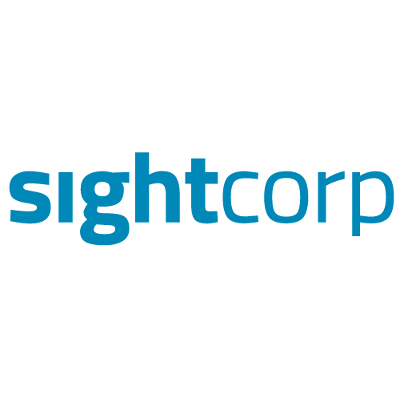 Connected Signals is a software/data company that plays in the Autonomous Vehicle and Connected Car markets. We collect and aggregate real-time traffic light data and use it to build sophisticated models that detect and predict traffic light changes. Leveraging car's vibration science with AI to revolutionize predictive maintenance. Artisense 3D vision empowers OEMs and fleets to accelerate production of more efficient and safer autonomous vehicles. It's the world's most accurate embedded computer vision sensor platform - combining stereo SLAM, deep learning and sensor fusion. Developing safe, robust, production quality self driving software stack. 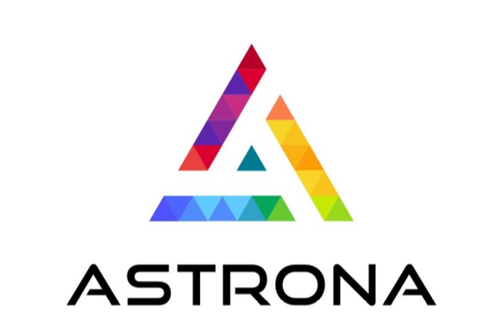 Our mission is to pioneer a new age of cybersecurity. We exist to protect the modern world from the threats of tomorrow. 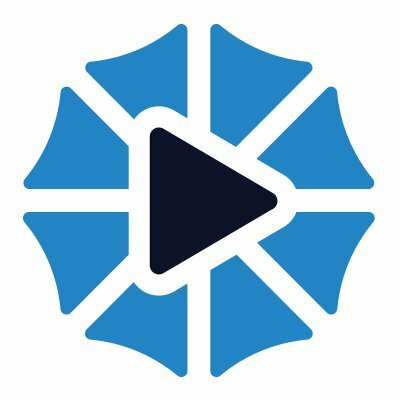 Kiip is a rewards network and mobile application that offers rewards from brands and companies for virtual achievements. It has received $15.4 million in total funding to date from Relay Ventures, Interpublic Group, Hummer Winblad, American Express Ventures, Digital Garage, True Ventures, Verizon Ventures, CrossLink Capital, and others. Kiip was Brian Wong, Courtney Guertin, and Amadeus Demarzi in 2010. Infinite Analytics is the most advanced predictive marketing and analytics company. Co-founded by two MIT graduates, it has its genesis in a class taught by Sir Tim Berners-Lee, the inventor of the World Wide Web. The company has built a real-time personalization platform that learns and predicts by utilizing all available data to match a customer to a product or service. It creates a complete view of every customer based on the user and catalog structured and unstructured data from online, offline and macro-trends from the web. Through the use of NLP, Machine Learning and a lot of predictive analytics, they can predict user’s behavior for retail and e-commerce applications. A brand-to-retail marketing platform that allows brands to launch co-branded, customized online campaigns with their retailers in order to strengthen relationships, localize national content, and reach more consumers. Fiverun is a SaaS-based commerce platform that streamlines retail operations and offers brands greater digital capabilities in-store. Built on an open API framework, Fiverun's web and mobile-based solutions help enterprise brands and retailers better manage their front and back-of-store operations, enhance the in-store customer experience, and drive business results. Retail different. 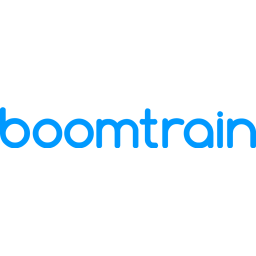 Boomtrain helps companies send individually relevant mobile app and email notifications at any scale. Think of us as your one-stop personalized notification platform. We leverage machine learning and predictive algorithms to drive increased clicks, engagement and revenue through customer communications. Our technology surfaces the content that’s most likely to engage any individual and delivers it via email, push notifications, or the web. All automated, all in real-time, and as easy to integrate as Google Analytics. eBrandValue is Real Time Nielsen Ratings for Brands. We take all social network data from Twitter, Facebook, Instagram, analyze its sentiment, track brand affinities of individuals on social. We determine whether brands will increase sales and market share or not. With its predictive marketing platform, MentAd leverages sophisticated big data and machine learning techniques to understand what characterizes existing customers, and accurately predict the ROI of reaching new similar customers on different advertising channels. Piqora helps brands drive business results through the deployment of user-generated visual content throughout their websites and marketing collateral. Our breakthrough consumer app and the world's first successful mobile visual search engine, CamFind, allows you to "Search the Physical World" and find information about anything just by taking a picture from your mobile phone. Clarivoy's comprehensive, data-driven advertising attribution and planning platform unifies traditional and digital sales and marketing response data into a single source solution enabling advertisers to maximize the ROI of their campaigns. 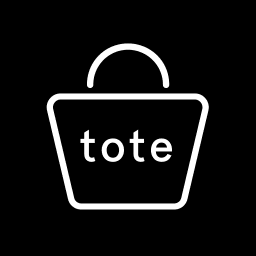 tote lets you easily save products you see at the mall or in a store. Save a product to your collection or let tote concierge find products that can’t be found with a barcode alone. You can buy your saved products anytime, share them with friends and receive price drop alerts. Reactful is a SaaS solution that that automagically "understands" all critical aspects of a website (or app): Its goals, visitors’ behaviors & flows, mouse movements and more. Reactful translates these understandings into "human" behaviors such as interest, confusion, hesitation etc. 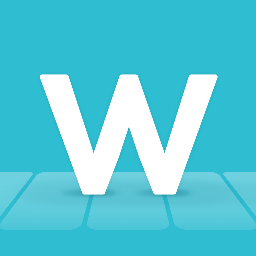 By using the Reaction Studio, a WYSWIG visual editor, marketers use this information to quickly create and test reactions to these behaviors. Reactions include beautiful overlaying layers, subtle emphasis, folding site elements in 3D and others happening in real-time for each visitor. Reactful features an underlying reaction engine which tests multiple reactions and automatically chooses those most successful in achieving lift. Blynk is your personal stylist in your pocket. The average personal stylist costs an individual no less than $100/hour. Blynk replicates this value for users - for free. We provide quality fashion recommendations personalized and delivered to you. We help you determine your style, send you full outfit recommendations and make your shopping experience easier and more enjoyable. 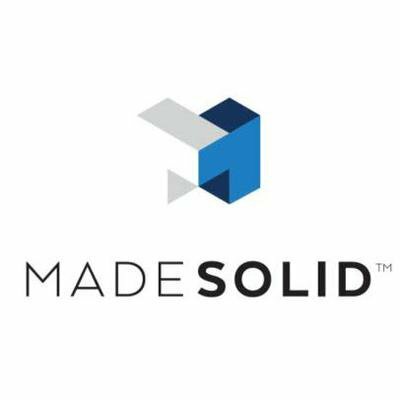 Our goal is to bring higher quality, better performing materials to a market that traditionally has focused just on improving the machines and the software, but not the materials. SKU IQ’s integrated commerce platform enables physical retailers to integrate their Online <> Offline inventory systems in real time for operational excellence and omni-channel revenues. Walc's vision is a walkable world. Its app gives directions based on landmarks and brands instead of north/south, and creates custom directions. Walc's Founder previously created the #3 Navigation App behind Google Maps and Waze and is a patented inventor in pedestrian navigation technology. It's CTO is a serial entrepreneur with expertise in localization and navigation tech. The team is NY-based. 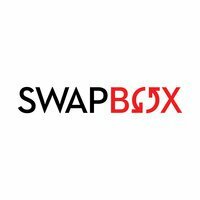 Swapbox currently provides an automated post office. We allow users to asynchronously send & receive packages in seconds on their own schedule. No more missed deliveries. No more waiting in line. It's a Redbox for packages. We are Squareggs, the online marketplace for baked goods. We connect consumers to local retail and home bakers. Consumers can discover & order online fresh baked goods. Bakers can simply enjoy baking rather than solving challenges like marketing, handling online orders and delivery logistics. Are you ready to fundamentally change the way people find and consume baked goods? 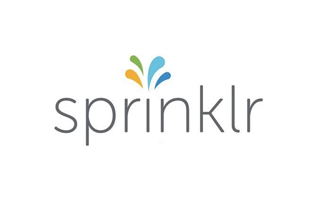 Sprinklr is the most complete enterprise social media management technology in the world ...built to help large companies drive business and manage customer experiences across all touch points. Value drivers include increasing revenue, decreasing cost/risk and increasing customer satisfaction. Sales Layer is a new generation Product Information Manager (PIM) that helps companies to curate their product content and synchronize it across retailers, paper catalogs, web & mobile platforms. In other words, an intelligent cloud based catalog manager trusted by brands like Reebok, Porcelanosa, The North Face or Le Coq Sportif. 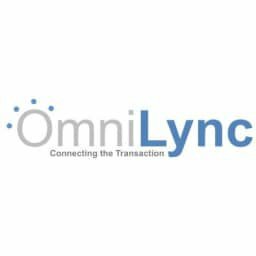 Omnilync provides friction free access to full basket POS data removing the major barrier to allowing the broader retail market to adopt new digital marketing solutions. 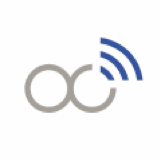 OmniLync’s patented approach will be sold through partners providing loyalty and shopper marketing applications. The revenue model will be the sale of the merchant data to syndicated data buyers, research and big data analytics vendors. Mobile personalization platform MobileRQ enables brands to add context to their mobile app strategies creating powerful customer experiences that drive revenue and loyalty. Business teams can tailor real-time app content in a data-driven way across individual audiences simultaneously. We put “developer” app control and design power into the hands of the business to drive conversions rapidly and instantly report results. InMoji Inmoji generates revenue for messaging platforms and enhances brand engagement by connecting consumers with their favorite brands. Doorman package delivery was created to perfect the final moment of e-commerce - the moment when you actually get your stuff. Ordering products online has become second nature, and the shipping cost and time is only getting better. However, if you live in the city and don't have a doorman, chances are you have a problem with that final moment. Your stuff tried to get to you, but you were at work. So instead you get to spend your Saturday at a large shipping facility to pick it up yourself. We want to patch up that final moment, and let you get your stuff when you expect it, and we do this by delivering at night when you're home from work. And to make sure you get it on the first try, we let you schedule the hour that you want it on the same day that it arrives, or any day in the future. Helpshift is a mobile support platform that helps you engage, support, and expand your mobile customer base. 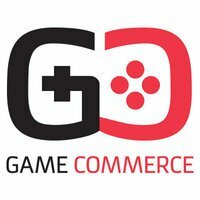 GameCommerce provides gamified mobile ads called PlayAdsTM that are fun, interactive and rewarding. PlayAds have proven to deliver over 10X higher user engagement than industry average. Using our platform, advertisers launch PlayAds across leading ad networks including Facebook. Our technology platform enables creation of any number of PlayAds and variants easily, and target the right user with the right ad. 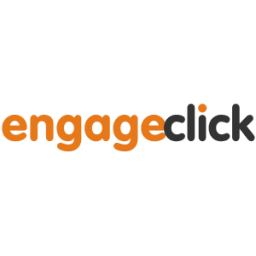 EngageClick is a predictive marketing platform to deliver personalized marketing messages across channels - website, apps, social, ads, and video to create one system of record for customer preferences for marketing messages. We use advanced machine learning and big data system for creating intelligent patterns that fuels better sales and conversions. 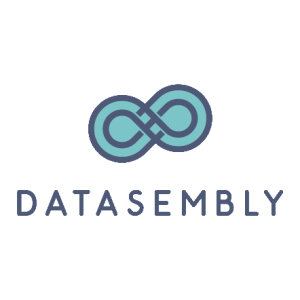 Datasembly empowers CPGs and retailers to make data-driven decisions with tools that provide visibility into real-time, hyperlocal prices of products around the world. Datasembly’s technology for collecting, normalizing, and visualizing prices from across the web provides unprecedented access to comprehensive data that motivates decisions about competitive pricing, trade marketing, localization strategy, and more. Clear Labs is the standard for molecular food quality in the global food industry. We are pioneering food analytics, enabling the world's most respected food brands to differentiate on quality and to stand behind their value. Clear Labs was founded in 2013 by a group of software engineers and genomic scientists to index the world's food supply and set worldwide standards for food integrity. The company is headquartered in Menlo Park, CA. Same Day Delivery For Any Business. Our Mission at Bringsy is to enable every business with same day delivery. We integrate into online checkouts so that customers can have their items delivered in 60 minutes or less. Bringsy connects businesses to our network of already existing professional courier companies with software and logistics intelligence. We have an adaptive API that works with any ordering platform. We provide a tool to retain customers in our fast-paced on-demand society, by enabling same day rush delivery of goods. BirdEye is the next-generation business reputation and customer experience platform that reimagines how customer feedback is used to acquire and retain connected customers. BirdEye platform allows businesses to see their comprehensive BirdEye view i.e. what their customers are saying across all channels — review sites, social media, NPS surveys, support cases. BirdEye natural language processing (NLP) and big data engine converts all the unstructured customer feedback into actionable insights, so businesses can benchmark performance across all their locations, and vs. competitors. The Mall on Xbox One is the only place where brands and retailers can sell and advertise directly to Xbox One users. For the first time ever tens of millions of Xbox One users, who spend over $2 billion annually on digital goods can buy physical goods like electronics, sportswear and apparel directly from their console. Any retailer with an ecommerce channel can be set up in days and The Mall can also tie the products on the store into Xbox wide adverts, where users can buy a football jersey straight from Fifa 16 or a new pair of headphones straight from the Xbox One homepage. 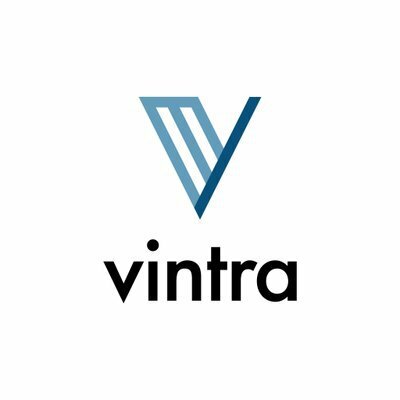 Vintra makes software that helps enterprises optimize marketing spend, generate new revenue, and drive operational performance by mining visual content for hidden, key insights and recommended actions. With 3 billion pieces of visual content posted daily on social media platforms and the proliferation of IP cameras, enterprises are missing out on valuable insights due to a lack of instrumentation and tools for visual content. Photos and videos are big but unstructured data. Opportunities abound to discover and act upon consumer trends, product affinities, emerging micro-audiences, brand health, key selling opportunities, risk compliance issues, and more...all embedded in visual content. Umbo CV is an artificial intelligence startup developing event recognition systems for the professional video security space. Our mission is to build learning based preventive security systems to help businesses increase safety, operation efficiency and reduce cost of ownership in running large scale security systems. Tilofy is a venture backed startup that has developed an intelligent trend forecasting platform, focused on giving businesses a significant advantage on understanding the trends of the future. Tilofy’s proprietary technology identifies trends and developments in their infancy, long before they become mainstream. Rooted in factual data, Tilofy helps businesses devise a roadmap to focus on new opportunities, reach new markets and create innovative products. SwiftIQ delivers contextually relevant insights and digital experiences for retailers and brands with the unique ability to process billions of basket-level transaction records in near real-time. Raw data is converted into on-demand mobile visualizations and predictive applications for supply chain, personalization and media targeting solutions. 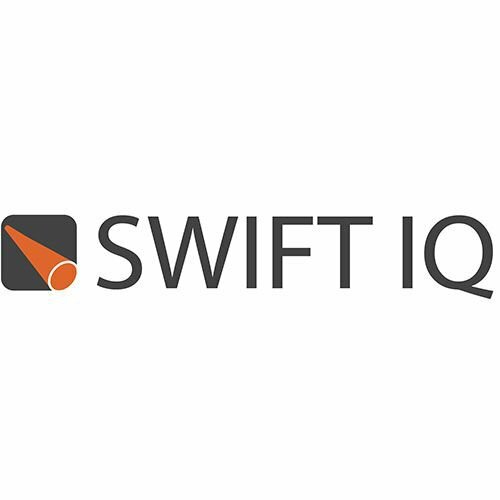 SwiftIQ’s core business intelligence capabilities include a suite of insight applications such as basket analyses (correlations, incremental value), graphical visualizations, dayparts, assortment optimization, demand forecasts, event tracking (like promotions), email alerts, a high scale data warehouse, and an API portal. With SwiftIQ, a retailer’s most value POS data can be fully utilized across any consumer touch-point (in-store, online, and via ads) and accessed by their suppliers for enhanced collaboration, insights, and increased cash flows. Sparo is a technology company that has built a seamless application for use by merchants as a means to increase sales, create brand loyalty and be a good corporate citizen. Sparo's patented tool can be embedded onto any merchants' checkout page thus empowering shoppers to select their favorite charity at no cost. By using Sparo, merchants can lower the cost of customer acquisition and get a 100% tax benefit. Sparo is a technology partner of Magento. Smartzer's interactive video player turns existing videos shoppable and navigable making it easy for consumers to engage with content. Items in a video can be clicked to see more information and make purchases. There is also an extensive analytics component providing valuable video engagement data for deep understanding of how consumers interact with video content. Brands benefit from the ability to use videos to generate measurable sales, build on customer preference data, and to use the analytics on how consumers interact with videos to shape future video strategies. QueueHop is a mobile self-checkout solution with an RFID-enabled anti-theft tag that unlocks after a payment is made via an app. QueueHop enables customers to self-service their purchases in real-time on the sales floor instead of lining up to checkout with traditional cashiers in retail stores. As part of a white-labeled app (or QueueHop app), the technology effectively reduces cart abandonment, sends personalized recommendations to customers and provides retailers with valuable data analytics about offline purchasing patterns. Our goal is to revolutionize the way people shop in physical retail. PrivMe has identified a huge pain point for businesses, their struggle to acquire and retain customers who spend. PrivMe solves this problem by enabling merchants and brands to hyper-target consumers based on their spending history and social influence. PrivMe rewards those consumers with personalized offers, VIP privileges and bonuses for their merchant loyalty and for their social activity. This magic occurs with PrivMe’s proprietary A.I. and scalable B2C predictive intelligence platform which analyzes consumers’ spending history by classifying each transaction based on 60+ data points and ties that intelligence to 30 million businesses. The data comes from a secure card-linking platform which directly integrates with over 17,000 financial institutions and social media sites. Oak believes the future of retail will be software-driven. Starting with an interactive fitting room mirror that enables customer requests, lighting changes, and checkout, Oak is building the ultimate intelligent store platform. 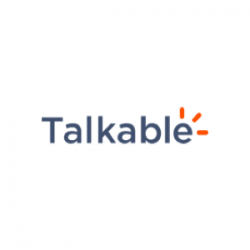 Talkable is a Refer A Friend Platform for e-commerce companies. We acquire new customers and increase sales by getting a company's existing customers to share offers with friends, and by getting those friends to buy. The product is a SaaS platform used by companies such as TOMS Shoes, Hotels.com, Shutterfly, Gymboree, and more. The company is backed by top funds including Y Combinator, 500 Startups, Draper Nexus, and Accelerator Ventures. 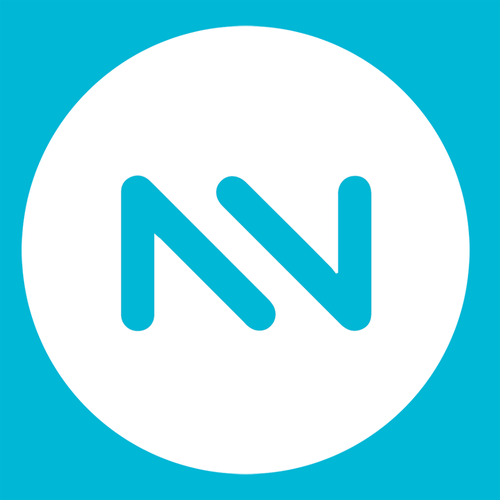 Naytev is an A/B testing platform to improve the way content appears on social media. As content discovery continues to shift to social platforms, it's increasingly competitive for brands and content creators to drive engagement. Our software makes it possible for customers including AOL, IAC, and Univision to consistently engage and expand their audiences and control their social distribution channels, which are often their most important source of revenue. The creators of the Memory MirrorTM the world first Digital Mirror platform providing countless user experiences and a new generation of in-store data analytics. 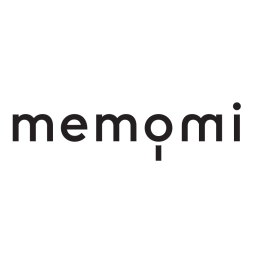 Today, the MemoMi’s Memory MirrorTM platform is installed at dozens of retailers stores including Neiman Marcus, American Eagle, Uniqlo, Kenneth Cole, among others and counts technology innovators such as Adobe Intel, IBM and Corning as strategic partners. Gravy is the only location intelligence platform identifying consumer interests based on verified local event attendances. 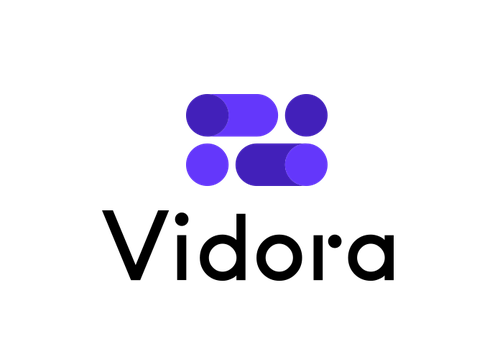 Gravy combines its mobile Geo-Signals Cloud and AdmitOne™ location and attendance verification engine, giving brands predictive segmentation, audience targeting, competitive foot traffic insights and campaign attribution. 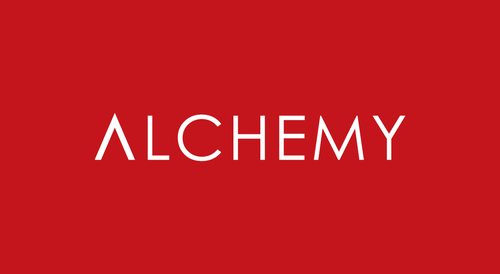 Cheerfy enables the delivery of memorable customer experiences that build loyalty at stores. Cheerfy identifies customers in real-time as they walk into a store. Cheerfy shares customers’ arrival and profile with employees when and where they need it to personalise the service they offer. Cheerfy automatically sends personal messages and recommendations on customer arrival based on their profile. All of this without a user app and without customer manual action/check-in, by using WiFi hotspots as a beacon. 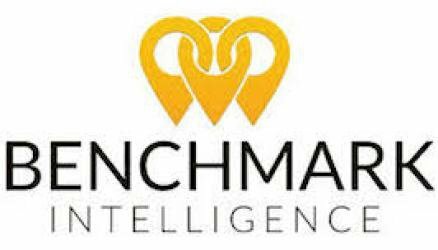 Benchmark Intelligence is SaaS that helps retail chains measure and improve the customer experience of all their locations. We collect customer intelligence data in a variety of ways including SMS customer comments, social media listening and field surveys. Our SMS customer comments product which allows customers to text in comments about their experience has proven to help curb against negative reviews and increases VOC response rates by 500%. Benchmark discovers the customer experience factors (eg. cleanliness) that affect unit performance. We then surface actionable insights to retail chain back office that they can use to improve the customer experience across their portfolio of locations. Scan it. Say it. Shop it. hiku lives in your kitchen, scans barcodes and recognizes your voice – creating a shared shopping list on your phone so you always know what you need. Use the hiku shopping list app at the store – any store – and your list is always with you. Or connect hiku to online stores to make online shopping a breeze. We believe in giving customers the best buying experience. We do this by empowering our clients and their agencies with visualisation tools, data capture and solutions to deploy 3D product experiences that engage the customer through exploration, configuration and validation. Proven in the automotive industry with clients including Audi, Toyota, VW and Pagani, our solutions benefit any sector seeking to engage customers online and at retail with an omnichannel visualisation platform that encompasses digital displays, virtual reality and Cloud rendered 3D Web. 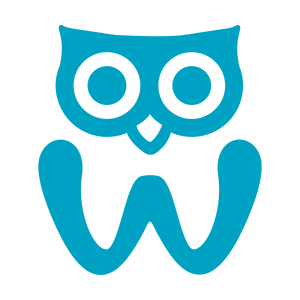 WIREWAX is a connected video technology. It provides interactive video to 18,000 users across the planet, including more than 450 brands, broadcasters and agencies. It's connected because it uses award-winning artificial intelligence to automatically make people, products and scenes in video clickable and touchable. 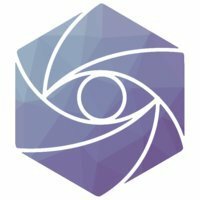 Thirdeye provides retailers computer vision solutions to run brick & mortar stores. We currently have models that plug into existing CCTV to detect thefts, track shelves to avoid stock-outs and analyse consumers behavior to a precision only online retailers have enjoyed so far. The ultimate aim is to automate retail by enabling checkout-less stores and AI run stock management. SupplyAI, a vertical AI platform helps retailers in detecting and preventing returns, enabling them to increase topline revenue, avoid returns cost and improve customer satisfaction. The virtual assistant able to answer any question wherever the consumer is located-- be it in a retail property, theater, ballpark, airport and virtually anywhere. Siri and Alexa can get you there, but once inside a venue it is Satisfi's AI that meets customer demands. Want to know where the nearest Seven jeans are in your price range at Macy’s? Just ask our perfect employee. Need the right sweater for your mate? Satisfi's virtual assistant will tell you where to find it in the store you're in, what colors are available and at what price. The result--increased customer engagement, loyalty and sales. Primo1D manufactures and sells micro-electronics components into textile yarns. The E-Thread ™ technology marks the beginning of a revolution marrying electronics and textiles. Our invisible RFID UHF yarn brings new added values such as anti-theft, anti-counterfeiting, in a single component, beyond the traditional benefits of RFID UHF! 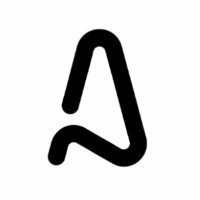 Set up a real source tagging strategy, secure your supply chain, create an amazing customer experience thanks to our intimately incorporated and non-detachable identity...Welcome to the world of augmented inventory of Primo1D! Stylitics powers outfitting and look-based content for large retailers, allowing them to inspire and engage their customers with stylist-quality looks, using their own products, across every channel. Stylitics handles all aspects of content production and delivery, helping to scale content creation while saving the retailer time and money and boosting sales. PlusMargin combines Behavioural Psychology & AI to psychologically profile each individual person and then subsequently predicts the most optimal contextual content to influence them to take action across any digital touch point, with the current focus being influencing visitors to buy on-site. We have created proprietary framework of 50+ persuasion strategies, backed by evidence-based psychological research and each verified strategy targets precise cognitive processes of consumers. A persuasion tactic may work well on one user, say social proof (eg "33 people looking at this now") but it may backfire on another. In converting one user, you may be losing several other customers - to combat this, PlusMargin uses AI to predict what type of tactics each user is prone to and subsequently persuades them to buy. PlusMargin works with your existing personalization/optimization vendors, integrating seamlessly to complement and maximise their service. Storefront windows are underutilized prime real estate that should be used to drive foot traffic, advertising, and sales. Today’s declining retail market is still primarily dominated by the same tools retailers have been using for decades such as printed posters and bulky televisions with lazy content, or even centuries in the case of mannequins. We believe that it is time that the brick and mortar shopping experience gives consumers the same level of personalization and engagement they get online. We believe storefront windows are the “homepage” of retail and should be able to provide special attention, personalized results, and instant gratification. Outernets’ system transforms retail windows into a powerful tool, creating smart, interactive, digital displays by using advanced data analytics and AI. Mobee is a startup that crowdsources the gathering of in-store intel for brand manufacturers and retailers who want shelf-level insights quickly. The platform works by engaging shoppers via the Mobee App to complete retail audit "missions" (answering questions & taking photos) in exchange for points. Typical missions gather intel to validate merchandising compliance, assess promotional execution, and obtain shopper sentiment. Mobee then organizes and analyzes the data at scale so that brands & retailers can have custom insights with quality, speed, and scale. Kokko helps retailers and brands build digital experiences that give consumers the confidence to purchase when color is critical. Color matching is challenging for most people and impossible when shopping online for products in categories like beauty, home decor and fashion. 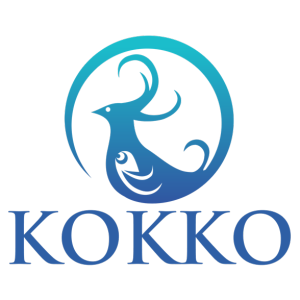 Kokko's color science-based technology transforms any mobile device into a color-accurate, personalized shopping assistant. Joinedapp connects brands and merchants with their customers on messaging apps, the largest untapped sales and marketing distribution channels in the world today. Our product is the only self-service B2B solution that enables merchants to scale across the messaging landscape, managing the full user journey from onboarding/engagement to conversion/payment all within the messaging experience. With a plug & play messaging hub that cuts through different apps, workflows, and verticals, merchants can build their own custom native messaging experiences for their customers without the need to re-plumb their inner network, reducing months of development time to just hours. Influential's network is comprised of over 15,000 leading social influencer accounts on Twitter, Instagram, Snapchat, YouTube, and Facebook, who are required to be in the top 1% of engagement on each platform to join. They currently reach over 5 billion followers. Influential is the only company that guarantees your target demo in an insertion order. Imagine a world where you can be in multiple places at once as if you were there in person, known as telepresence. Imagine in that same world you can point your phone at an object and learn anything you wanted about it. DOTTY is working on Augmented Reality technology that will be reinventing the way we look at the world and our environment. 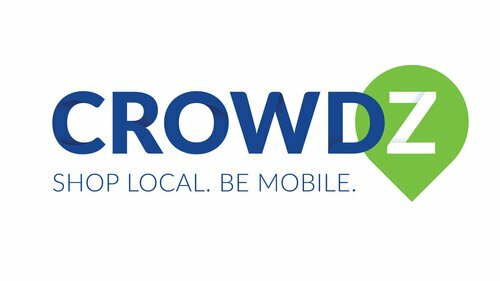 Crowdz revolutionizes the supply chain via API-Based SMART Transaction Networks. We insert self-executing smart contracts into supply-chain transaction points, creating a virtual supply network that automatically identifies optimal suppliers, minimizes risk, and synchronizes supply with demand—potentially generating billions of dollars in increased profits for businesses both large and small. Business Accelerated. Cappasity is a cloud-based platform that lets online stores easily create and deliver 3D, VR and AR shopping experiences. Cappasity’s mission is to make 3D imaging as easy as taking photos. We strive to help improve online shopping experience for everyone and make it as engaging and exciting as it is when shopping in retail shops. Customers now spend more time in messaging apps than social networks. Leading businesses are leveraging this by making products and services available via voice and text messaging channels. 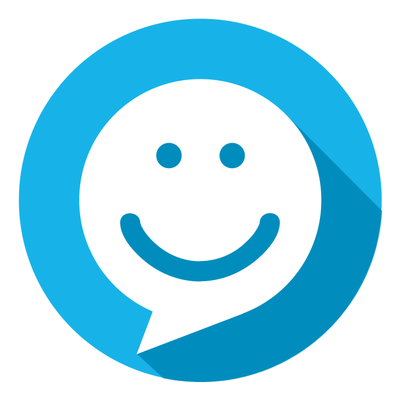 Botmetrics solves the number one problem for chat and voice interfaces - Customer Satisfaction. We provide the tools for bot markers and customer service teams to measure and improve conversational UX in all the major messaging channels including custom in-app or website based chat. We’re built for the enterprise with built in support for teams, data privacy and flexible deployment options. Bold Metrics, Inc. (BMI) is the gold standard for predicting accurate, detailed body measurements. Our 3D Human Body Model technology outputs over 90 unique male and female body measurements leveraging a data warehouse of human body scans in concert with a tested and proven proprietary AI technology. Taking a data-centric approach, BMI bridges the gap for every business in the world that designs or sells products or experiences that are relative to the human body. BMI’s enterprise SaaS technology has applications in several verticals including apparel, furniture, sporting goods, and automotive. Today Bold Metrics unlocks human body data to drive commerce solutions for consumers buying products relative to the human body, and is a category creating conduit for innovative solutions in virtual reality and body relative product design. Here's the thing: No one says "this jacket is five stars!" They say benefit statements such as, "perfect for summer!" or "goes with anything!" Antenna makes capturing those more human values simple in a mobile-first, desktop-friendly way. It's a free tool that lets a retailer provide simple prompts and responses to let people say what they think about products and brands. We see an average conversion lift of 32% from partners after they launch, and soon, retailers can use Antenna to find new audience with our animated "product stories" that reach people on social, and retarget their most-engaged shoppers. Our mission is to transform the way consumer goods are sold to U.S. retail with simple and easy to use technology. Software technology company focused on a social recommendations engine (Rendezvous) for Retail and Places with a Facebook Messenger bot UI. PebblePost invented Programmatic Direct Mail® to transform real-time online activity into personalized, dynamically rendered tangible media that’s delivered into postal hubs within 12-24 hours, every day. OMNI Retail Group is a Retail Tech SaaS company. Our key insight is that shopping when you don't know exactly what you are looking for is infuriating...even at Amazon. Our mission is to fix the broken "browse-to-buy" shopper journey for retailers, brands, and supply/B2B companies. We do so with our Intelligent Assistants and have proven over 20% increases in revenue per visit for Staples, HP, and Toys/babies "R" Us. "Mystor-E is bringing the e-commerce experience into the brick and mortar stores, and enable retailers to tell more relevant and personalized story to their customers. Our platform is shifting the effective online advertising model into the physical space and enables retailers to use real-time data to drive highly relevant personalized content to their customers in-store via digital screens	"
Myagi is a Workforce Learning Acceleration platform that delivers the right training content, to the right employee, at the right time, to help them create the best possible customer experience. Visual search technology powered by Artificial Intelligence. MirraViz products enable multiple people viewing one screen to each see completely different, immersive, and personalized content. Our products enable innovative solutions in Business Signage, Consumer Entertainment, VR/AR, and Advertising. We are a sensor-based, ai-enabled retargeting platform that targets users online, based on their behaviour in the real world. Our product is a biometric payment terminal that sits on counters in stores and allows shoppers to pay with a simple, touchless scan of their palm. No wallet or phone required. This scan carries a 1% flat payment processing fee saving merchants tens of thousands of dollars every year. iuzeit streamlines the online consumer journey from discovery to research to purchase all in one place. We pull together data from the top sites to provide a comprehensive view including product data, consumer reviews, expert reviews, friends reviews, and purchase options. We're saving consumers time, money, effort, frustration, and helping them make smarter purchase decisions. 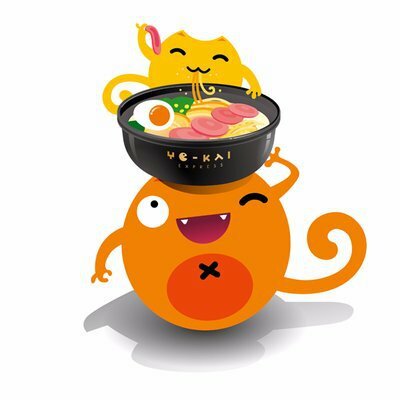 Hello VERA’s goal is to help enterprise clients to improve their customer service through artificial intelligence (AI) technology. Our AI technology has outperformed state of the art technologies at a variety of tasks on a number of benchmark data sets, and it has proven to more than triple our clients customer service effectiveness. 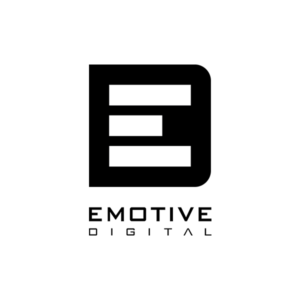 Emotive Digital is a retail advertising company focused at the point of sale to influence purchase decision and create impulse to buy. We own an intellectual property in transparent LCD technology - creating a new media platform such as world's first interactive transparent refrigerator network in a grocery chain. We produce creative contents to evoke emotion, capture anonymous consumer data to personalize message, and increase sale at a moment of truth - point of sale. 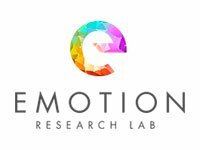 Facial emotion recognition algorithms to predict human behavior in real time in real life. With a simple web cam we measure the behavior through 6 basic emotions ( happiness, disgust, fear, sadness, surprise and anger), secondary emotions and moods. Our technology has been develop to work through our online platform ( market research solutions), crowd online platform ( retail engagement analytics) and integrated with other technologies by our API. Founded by two Apple engineers, Dor technologies created the first retail analytics solution that is affordable, powerful, and easy to use. Using a proprietary sensor technology Dor is able to track customer foot traffic in retail locations and provide insights to the store owners through an intuitive and modern dashboard. Dor has already helped hundreds of stores increase revenue by leveraging their data to make better business decisions. Bouxtie [pronounced bow-tie] is transforming the way individuals and companies give gifts and connect with its enterprise software solutions for the gift card market. Boomerang Commerce powers competitive pricing and assortment decisions for next-generation retailers. Through dynamic pricing, we have driven millions in revenues and margins. Boomerang Price Optimizer enables Category Managers, Pricing Analysts to 1. Balance competitiveness and profitability while optimizing revenue and profit goals 2. Test, measure and implement competitive pricing strategies. System leverages advanced Data Science to make pricing decisions for each SKU on an hourly basis, by modelling over 100 variables. actiMirror is a disruptive IoT data analytics platform engineered to change the rules of the game in the Retail, Hospitality and Healthcare sectors. 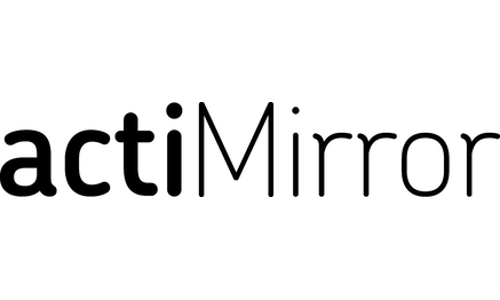 actiMirror delivers powerful emotional connections via real-time personalized consumer experiences, while providing businesses with valuable analytics insights based on data collected via the company's data gathering platform. The company monetizes its services via a highly lucrative and scalable SaaS model with four price points. Wyzerr develops artificial intelligence to turn customer feedback data into insights and tasks for the different roles within a company. We help marketers and managers quickly identify the gaps and opportunities in the customer experience. Standard Cognition is a computer vision company that has built an autonomous checkout solution that uses only cameras on the ceiling. Standard also offers never before seen retail analytics for brick & mortar stores and a loss prevention and security system on a single platform. 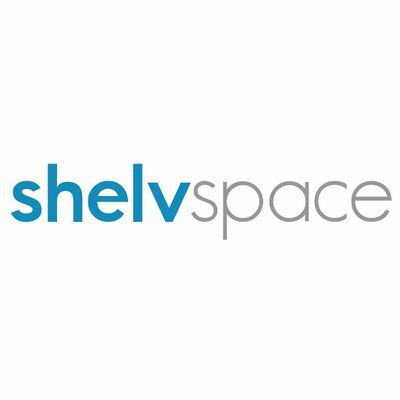 Snap2Insight provides turnkey solution for measuring shelf/display execution at retail stores by analyzing photos using image recognition technology. 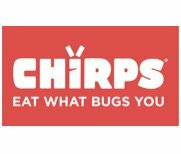 CPG brands use our solution to improve display execution, planogram compliance, on shelf availability, trade promotion execution, and thereby increase sales. 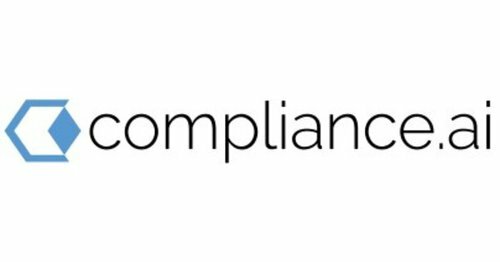 Retailers use our solution to reduce out of stocks and improve planogram compliance. Slyce is the market-leader in image recognition for retail, powering visual search in apps for retailers such as Nordstrom, Best Buy, JCPenney, Neiman Marcus, Home Depot, and Macy's. Our service can identify virtually any product from an image, and enable customers to snap a photo to buy something, add it to a wishlist, find it in store, or create another retail moment. Robby Technologies makes the world’s most complete and reliable self-driving robots for last-mile delivery. 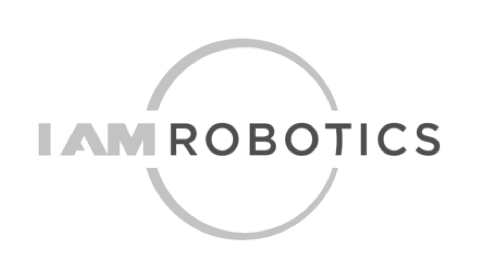 For our retail and delivery partners, we offer: self-driving robots with integrated hardware and software solutions, safety and security support ensuring every package is delivered on time every time, local (regulatory) licensing, and insurance coverage. RADAR is a hardware and software platform that combines RFID and computer vision to automate all retail store processes. Our proprietary technology can locate any product or person with unprecedented speed and location accuracy, enabling retailers to optimize inventory management processes, completely eliminate checkout lines and capture true e-commerce quality analytics within physical stores. Created by the founders of Priceline.com, r4 is helping organizations realize new revenue and profit growth by combining yield optimization with AI technology. The r4 cloud-based platform brings together data across the enterprise, discovers opportunities for profit and revenue yield, and pushes them directly to existing business and IT systems. Productale's platform provides a realistic, interactive product experience for online shopping, that is the closest thing to touching and experiencing a product in-store. Productale allows users to interact with the product and see how it fits into their life so they can make better and faster buying decisions. Value proposition: Increased conversion, engagement and loyalty. Lower returns. PredictSpring powers mobile apps, mobile websites, and in-store digital experiences for over 30 brands. Our innovative technology dramatically transforms and simplifies the way consumers shop on mobile phones and bridges online customer experiences with in-store endless aisle and clienteling solutions. LISNR® is an advanced, near-ultrasonic, ultra-low power data transmission technology that enables fast, reliable, and secure communication between devices that have a speaker and/or microphone. Acting as a local proxy for data transmission, our technology is removing the need for complex, expensive, and power-consuming RF or audio fingerprinting-based technologies. As the leading, global provider of data-over-audio technology, LISNR®’s proprietary protocol is being used across the connected world to power over 100 million devices and counting. Founded in 2012, LISNR®’s near-ultrasonic protocol sends data-over-audio to enable proximity engagement, seamless, and secure methods of authentication, and device-to-device data transmission for connectivity and automation. Modern marketers know that customizing ads to make them more relevant improves performance. The problem with customizing video ads is that it's time consuming and expensive. Indivio's software makes it easy to mass-customize videos and automatically test them to improve ad performance. 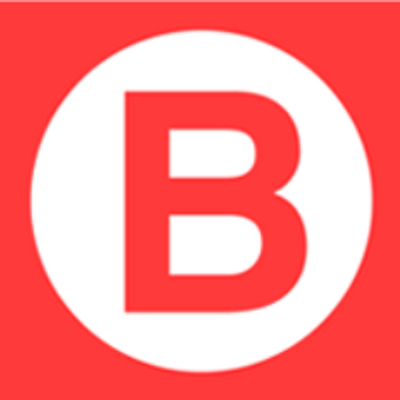 Indivio is backed by Y-Combinator and the Facebook Marketing Accelerator. Fyusion enables more immersive & engaging imaging, captured from smartphones in HD & viewable on any device. Capturing in 3D means that we give images super powers beyond what’s possible with 2D photos & videos; from changing backgrounds & adding rich data tags, to visual search & creating VR/AR-ready assets . No professional photographers or tools are needed - it’s immersive imaging at scale. Eloquent Labs was founded by two of Stanford's top NLP researchers. They founded Eloquent to develop truly conversational Artificial Intelligence. The technology Eloquent has developed doesn't simply answer questions and collect important data. Their AI can teach itself by reading documents, integrate with existing systems to perform custom tasks, and conduct business in a conversational manner--including small talk, sentiment analysis, and personality customization. DeepMagic is developing the physical store of the future – powered by AI. The company is designing new store formats that fully automate physical store access, check-out, and security. DeepMagic’s Qick technology platform enables retailers to reduce shrinkage, save cost, extend store hours, operate stores unattended, and improve the customer experience. Enterprises are spending billions of dollars in understanding their users (Customers/Employees). The current software’s focuses only on users 10% conscious mindset data (clicks, tags, text, etc.) yielding poor business results. Hence we have devised a cognitive AI decision-making software that can tap into other 90% insights of users (subconscious mind) to yield powerful business outcomes. Cargo is the leading provider of in-car goods and services for the rideshare economy. With access to Uber’s API, Cargo’s in-car commerce platform enables passengers to use a smartphone browser to buy from a curated mix of snacks, gum, premium electronics, cosmetics, and personal care items while in transit. AddShoppers is the leading data-driven Customer Recovery and Acquisition Platform -- leveraged by world-class brands like Hanes, Tupperware, and Avery. Using proprietary technology, big data, and strategic services; AddShoppers automates customer recovery by identifying and recovering high value customers through 3 major channels: Onsite Behavioral Messaging, Triggered Emails, and Ad Retargeting. We enable online retailers to print fully personalized package inserts right in their distribution centers via the adnymics Smart Package Insert technology. We are the first company worldwide combining instant tracking- and userdata with digital printing. Wellthie is a leading provider of next-generation technology solutions to help brokers and carriers thrive in the retail age. Mira improves the life insurance customer experience for non-preferred risks. League is a digital health benefits provider that puts employees-first - working with employers to deliver an integrated benefits experience that includes insurance, spending account administration, and health @ work services. This is all supported by a digital experience that makes HRs life easy - and more importantly, engages employees in their health and wellness year-round. iBeat is the smartwatch that can save your life. Making insurance inclusive and dynamic by building the most trusted risk and distribution intelligence. Consumer applications (e.g. Life360, GasBuddy) use our technology to track driving behavior for collision detection, safety and gas fuel efficiency purposes. 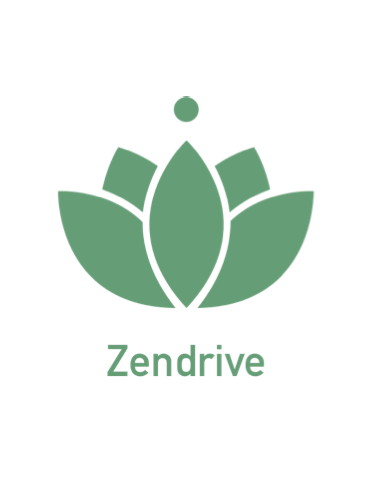 Fleets use Zendrive to track and improve their driver’s safety with the help of the Zenfleets Dashboard, reducing fleet losses over time. Providing health data liquidity through consumer enablement. Orbital Insight’s mission is to source, process, and analyze geospatial and terrestrial data sets and make them actionable for businesses, governments, and NGOs. RightIndem is a self-service online claims platform who operate in both commercial and personal lines and delivers benefits for both insurers and their customers by managing claims digitally. Swoop is automating the roadside assistance marketplace with software. reThought is a technology-centric MGA focused on product innovation for Commercial Lines. Fashory is a fashion mobile application that helps female online shoppers make informed buying decision by providing fashion insights. Paladin Cyber is a cyber security and insurance company that protects businesses from getting hacked. We monetize through insurance because we believe that the best way to protect customers is to perfectly align incentives between the concept of security, insurance and response under one roof. Insurdata technology intelligently captures, enhances, scores and transfers high-resolution, peril-specific exposure and risk data globally. HONK is an innovative roadside assistance platform that uses both technology and a unique business model to turn what used to be a day-ruining catastrophe into nothing more than a bump in the road. Our AI understands images like experts do. But it can assess thousands, in seconds, with razor-sharp accuracy. So your organization can perform like never before. Groundspeed delivers insight from unstructured commercial insurance files. A next-generation policy admin platform for P&C insurance that modernizes how products are sold from insurers, through agents or direct to insureds. Understory is a weather hardware and analytics company that manufactures, deploys, and operates weather networks inside metropolitan areas to create unprecedented detail of how weather effects people and businesses at the ground level starting with P&C insurance carriers that utilize our analytics to streamline claims processing, optimize adjuster assignment, and improve customer satisfaction. HomeZada is a digital home management platform for homeowners to manage their largest financial asset and biggest expense, their home. Helm.ai leverages robust mathematical modeling and unsupervised deep learning to create truly scalable systems across the full spectrum of autonomy: perception, mapping, path planning and control. HazardHub provides hazard risk data for every address in the US. Galaxy.AI provides claims automation for the auto-insurance carriers through analysis of damaged vehicle images using machine vision technology which provides a claims estimate within few seconds. Airware provides end-to-end commercial drone solutions that enable enterprises to digitize their business and turn aerial data into actionable business insights. Abe is a modern commercial insurance brokerage that leverages technology to better serve companies and make brokers more efficient. 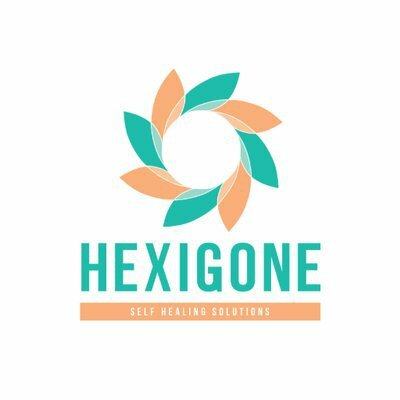 Decentralized insurance and reinsurance marketplace on public blockchain. Quilt makes it radically simple to buy and use insurance online. Cloudbus connects enterprises to their premise and public cloud data, securely, reliably and elastically through our full-stack, cloud-first infrastructure. We manage enterprise data wherever it lives, providing guaranteed, always-on performance and connectivity. Life.io merges the best of technology with the best of science to help policyholders live well, and carriers do more. Food guru in your pocket. A complete meal shake that gives your body everything it needs from real whole foods instead of powder and pills. Food safety in the palm of your hand. 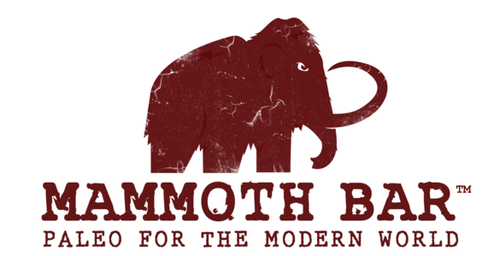 We make healthy, delicious, and sustainable foods from insects! Has created a proprietary joint-solution for ultra-fast microbiological diagnostics and enumeration at ultra-high sensitivity level. 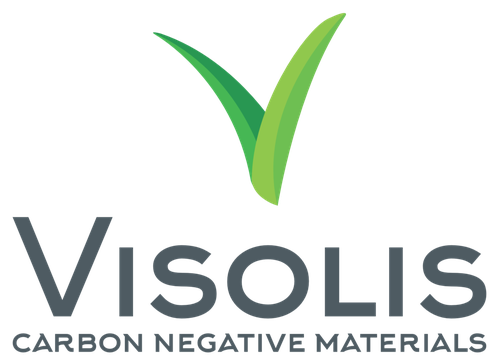 The world’s first Edible Bioplastic Company dedicated to replacing plastic with edible materials. We handcraft organic food products without all the weird stuff. Machine learning to ensure a safer and more sustainable protein supply. The world's best and most personalized coffee. We create science and technology-based solutions for lifecycle event companies in search of better, faster, more accurate results. Our world-renowned scientists develop revolutionary new ways to predict life events in real time, combining : Life Sciences and Sensory Analytics. We're reimagining employee benefits through real time, quote-to-enrollment, for health insurance carriers, brokers, and general agents. Our product, Quotepad, is an automated platform to visualize and shop for plans in one simple place. BenRevo creates sales automation software for Insurance companies that are inhibited by legacy processes by allowing them to connect with their customers and channel partners through a digital marketplace. 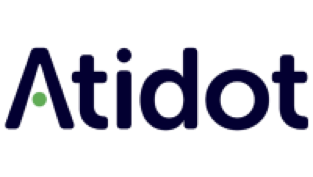 Atidot is an Israeli InsurTech startup building the first ever data cloud that understands insurance. Our solution provides life insurance companies with a way to get more from their data, improve business decision making and become more profitable. 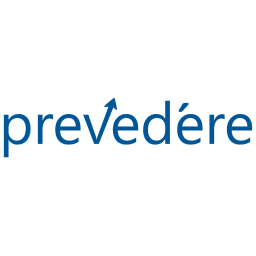 LevelFunded Health is a national, direct to employer wholesale benefits brokerage focused on level and self-insured benefit programs for small to mid-size employer groups. fenris enables our insurer clients to deploy their own branded, elegant, mobile-first quoting technology platform, while still preserving underwriting integrity. Jumpstart will quickly get money in the hands of more people after a natural disaster. We're starting with California earthquake where 9 of 10 are uninsured. It's the first parametric quake coverage for consumers: it pays out a fixed amount within just days. Cybewrite delivers a machine learning solution for cyber insurance underwriting, pricing and aggregated risk management. Bold Penguin is where technology meets the human touch in commercial insurance. With a heavy focus on the agents, Bold Penguin pushes the boundaries of user experience for businesses, an easy tool for agents, and a streamlined process of underwriting for carriers. RISC.ai uses a proprietary, advanced artificial intelligence approach to solve the commercial P&C growth dilemma. A customer-centric Cyber Insurance Platform that helps Small to Medium (SME) businesses mitigate risk and loss. We make micro-insurance part of the security framework for SMEs. Snapsheet is the pioneering provider of virtual claims technology to leading auto insurance carriers. The Next Generation Virtual Insurance Agent for insurers that want to sell push based contextual micro-insurance in the age of the customer. Matic integrates directly with lenders and insurance carriers to provide HOI during the mortgage process. This disrupts the typical model and takes quoting and binding to as little as 2 minutes. 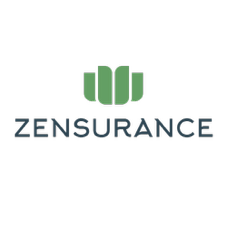 Zensurance provides a concierge service to small businesses to manage all their business insurance needs. Using analytics and the expertise of their insurance partners, Zensurance has identified the key risks in each industry vertical. Based on this analysis, Zensurance curate insurance packages at highly competitive prices. BrokerLift is a cloud-based eCommerce platform that enables Insurance Retailers to sell and service commercial and personal insurance products online. Extraordinary Re makes insurance liabilities tradable. 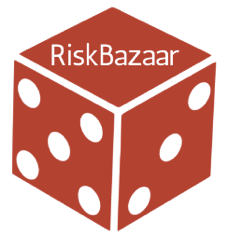 RiskBazaar allows any two individuals (or entities) to enter into a contract that pays out if a specified future event occurs - for free and within seconds. It facilitates peer-to-peer insurance contracts and wagers with no obligatory third party. The underlying unit of value is cryptocurrency (Bitcoin) and it is settled on the blockchain. Sure is making it easier for millennials to buy every type of insurance directly through mobile apps and the web. Sure partners with carriers to distribute both personal and commercial insurance products through the platform as an agency. The management tool that empowers insurers, brokers and MGAs to build and launch any insurance product within unprecedented timescales, and then distribute and self-manage it online and on a global basis. Pypestream is a Customer Engagement Solution that connects businesses to their customers through the power of smart messaging to drive satisfaction and loyalty. 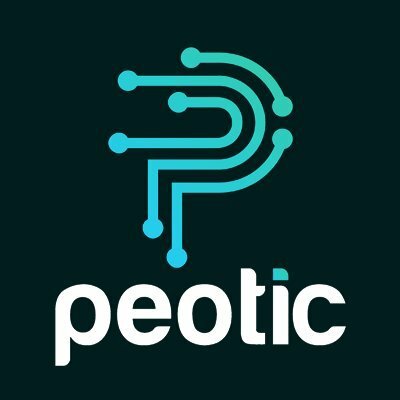 The patented, secure and compliant platform combines pragmatic AI and chat bots to enable business process automation and transactions over messaging. AUREUS is the Customer Intelligence & Experience company that enables Insurers to deliver superior Customer Experience leading to greater customer Retention, Loyalty and Lifetime value. We do this by leveraging Predictive Analytics & Machine learning technologies and delivering the actionable insights at the Point of Decision. Nauto automatically understands when a collision is about to happen, and records the scene inside and outside of the car then. Images and data about the incident are stored in the cloud, and can be shared with a fleet manager or driver via Nauto’s mobile app, which proves handy for resolving questions of liability. Vivametrica’s software “Analysis as a Service” tools provide measures of health, disease risk, and mortality that can become a component in every interaction that occurs between the insurer and their client. Described as “the Google of Insurance Policies,” RiskGenius helps insurance professionals research and review insurance policies faster. Isaac Re is an online marketplace enabling investors to to participate in the profitable insurance underwriting business. Enigma is a cloud platform that stores and processes encrypted data, without ever decrypting. It is the first solution to enable data-in-use protection, allowing businesses to safely share data with each other for processing, without actually giving the data away. DigitalGenius brings practical applications of deep learning and artificial intelligence into the customer service operations of large companies. As a pioneer in the space, DigitalGenius has developed the Human+AI™ Platform for Customer Service which sits as a layer inside CRMs. Cover is a mobile insurance application that takes in a verified ID and a picture of property to make a market for insurance coverage. We receive requests for car, home, jewelry, electronics and pet coverage from throughout the US and Canada. Cape Analytics revolutionizes way information about the built environment is created and consumed. We leverage geospatial imagery, computer vision, and machine learning to instantly and automatically extract proprietary property data. 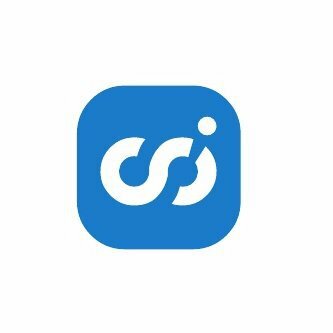 Social Intelligence compensates users using cryptocurrencies and a claims automated system leveraging smart contracts. 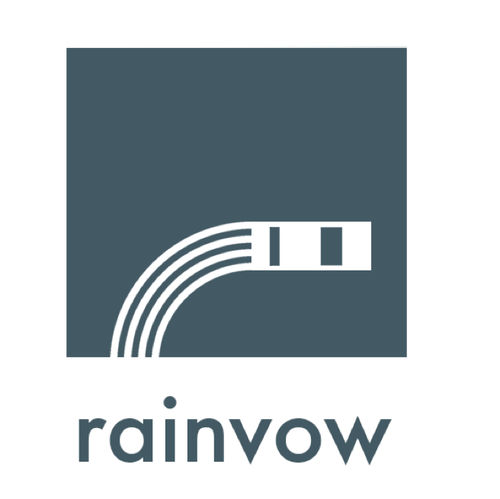 Rainvow builds and maintains a contract on the Ethereum blockchain to power parametric insurance for underwriters. 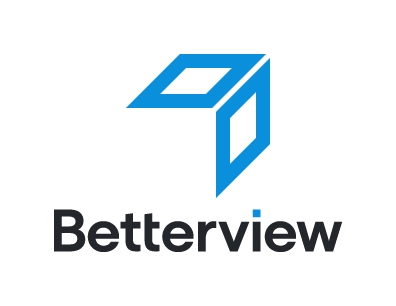 BetterView is a data platform for buildings and properties. The company combines drone-gathered, expert-analyzed imagery with public data to pinpoint risks, estimate costs, and drive action around buildings and properties. The Lifetime platform is a rich end to end software platform (PaaS) that provides carriers with the tools to establish a meaningful mobile digital engagement for the life of the policy holders. Social Intelligence is the leading provider of social media and next generation data to the insurance industry. Safesite is a class leading safety compliance and risk management platform for construction and high risk industries. 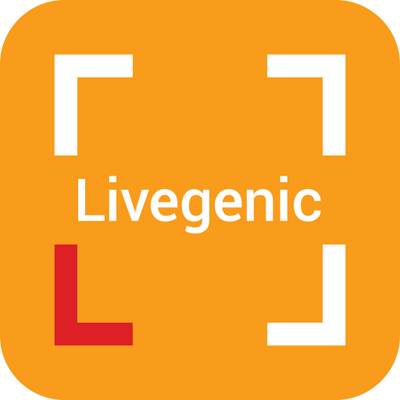 Livegenic is a global provider of cloud-based, real-time video solutions to property and casualty (P&C) insurance organizations which connect the claims ecosystem. The DropIn platform enables insurers to request a live video stream on-demand for risk pricing and claims assessment purposes by harnessing the power of the video camera inside the smartphone. 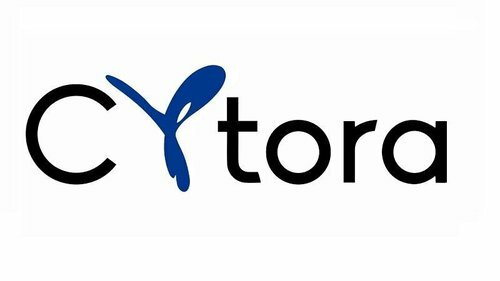 Cytora generates loss data from unstructured web text to help companies identify, quantify and price risk. Cytora work with market leading customers across Insurance and Financial Services. ClientDesk is a white-labelled platform that helps agencies, agency-based insurers, and direct writers digitize their client experience and internal operations using web and mobile technologies. Expanding the global food supply by significantly increasing crop yields using patented genetic technology. 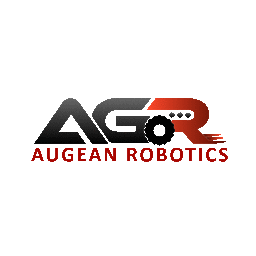 AGR builds robotic farm carts that follow laborers and function as virtual conveyor belts between pick points and collection points, allowing hand pickers to pick continuously rather than wasting 20-30% of their time shuttling produce from pick point to collection point. Harnessing soil microbiomes to enable more sustainable and productive agriculture. 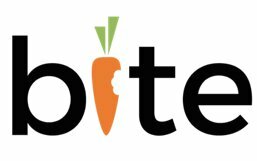 Bite’s intelligent self-ordering kiosks aims to personalize the food-service and retail experience by incorporating facial recognition to recognize guests, learn their preferences and then dynamically adapt, display and recommend items that they would like. We make rare sugars that are healthy, delicious and affordable. IGZU is reinventing popular consumer food and beverage products utilizing the world’s most naturally resilient and sustainable crops. ImpactVision use hyperspectral technology and machine learning to provide rapid and non-invasive quality information about food products. Empowering your existing supply chain while delivering Visibility, Collaboration, Machine Learning and Performance Optimization through our innovative cloud-based SaaS product suite. Miraculex is redefining sweetness in food by producing rare plant protein-based sweeteners derived from exotic fruits that are the best tasting and healthiest of any other current sweeteners on the market. Nourish builds completely automated restaurants. Pyur Solutions cuts out the ubiquity of synthetic chemicals with non-toxic, biodegradable, plant-based solutions and in doing so, collapses a trade-off between natural, good-for-you solutions and solutions that work. Retention Logic is revolutionizing the way in which brands run their customer loyalty programs by leveraging machine learning and data science. Real time cargo monitoring made simple. Shelf Engine helps grocery stores decide how much to order to lower waste and increase sales. 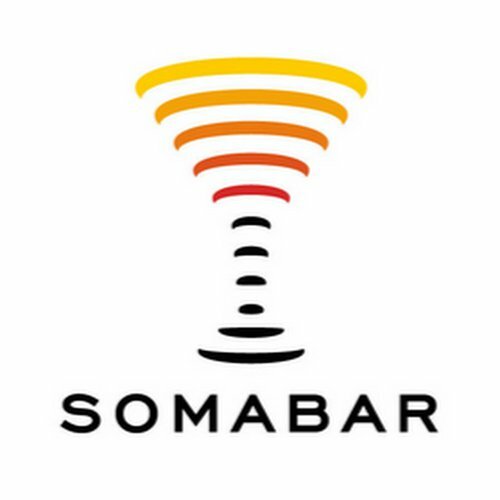 Somabar is an automated bartender for hotels, bars, restaurants. Identifies logistics inefficiencies in real-time to improve profits. Boost Biomes is improving overall food abundance and food security with new biopesticides and biopreservatives. We have developed a clean label preservative using natural mushroom chitosan, which is broad spectrum, affordable, has no sensory impact and fits consumer needs. 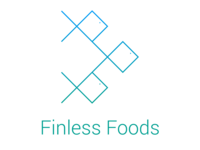 Finless Foods is an early-stage biotechnology company whose mission is to develop and mass manufacture marine animal food products for human consumption. Our objective is to create seafood sustainably using scientific cellular agriculture technologies, which will provide a cost-effective and healthier appetizing alternative to conventionally-caught and commercially-farmed seafood. GEZ Enzymes' mission is to improve people's lives by designing new proteins and enzymes for industrial applications. Greenteaspoon is a food tech company applying the latest developments in microbiome research to solve fundamental health problems. Innit is a centralized hub that integrates a disjointed food system by focusing on the way individuals want to eat. While harnessing the power of AI and Image Recognition, we are able to analyze the quality of the produce and check for nutrient deficiency, and alert for crop infestation. ISOThrive is daily microFood nectar that nourishes specific bacteria in the gut which can resolve the root cause of some of the most intractable and costly chronic health conditions. We have developed a gesture-sensing analytics technology and mobile app that passively monitors user's eating and drinking activities from their hand gestures and learns their consumption habits. We make functional ketogenic coffee creamers and instant beverages containing healthy fats, not sugar, to fuel the brain and metabolism. We offer solutions to help the food industry manufacture safer food, while ensuring strong compliance with international Food Safety & Quality standards. PeopleVine makes customer engagement personal at scale. Connect, communicate, and reach out to your customers across text, email, and socially engage, create web pages, forms, loyalty programs, and more to keep your customers interacting with you and your brand. Our turn key services enable our client to recover and optimize the value of theirs unsold products and waste instead of paying for their disposal, thus creating financial and environemental benefits. Seek is a line of healthy snack foods incorporating sustainable, protein-rich cricket flour. Sugarlogix creates prebiotic sugars with functional benefits for promoting gut health for babies and adults. Control the movement and grazing of your animals directly from your smartphone or using a preset schedule. Vence uses artificial intelligence to optimize rotational or strip grazing to maximize the yield of your livestock. Wasteless allows supermarkets to sell more and waste less. The solution leverages dynamic pricing that lets consumers choose how much they want to pay for a product based on its expiration date. Yo-Kai Express Inc. is a high-tech company providing a Smart Ramen Vending Machine. Amodo enables Insurance companies to achieve significant savings through lower claim costs and to facilitate business growth through lower acquisition cost, and higher CLTV. Amodo’s Connected Customer Platform, insurers can finally address the needs and lifestyle of the new connected generation properly. Amodo collects data from smartphones and a number of different connected consumer devices in order to build holistic customer profiles, providing better insights into customer risk exposure and customer product needs. HealthPocket HealthPocket is a technology company that compares and ranks health plans for its users. Pathover is an API-based software that optimizes every step of the last mile, from demand and resource management to delivery logistics. WorldCover offers peer-to-peer investments that provide insurance to the global poor. We connect a growing pool of investors who seek uncorrelated investment returns and impact from their capital with a huge and growing need for natural disaster insurance in the developing world. Four Mine Online jewelry store that offers an exclusive free ring Home Preview and marries the best of online and offline engagement ring shopping. PINC is a provider of advanced yard management, finished vehicles logistics, and inventory robotics solutions to the world’s leading brands. PINC provides scalable software, hardware, and services that enable companies to move goods through the supply chain faster, cost-effectively, consistently, and more efficiently. The company's mission is to leverage this technology to create a new generation of game-changing RFID systems that realize the vast potential and expand the utility of RFID throughout supply chains and enterprises. In re-defining RFID, Mojix is enabling organizations to re-invent and derive new levels of value from their supply chain management systems. LevaData is a rapidly growing procurement analytics SaaS startup focused on enabling cost savings for enterprises through effective leverage of data. 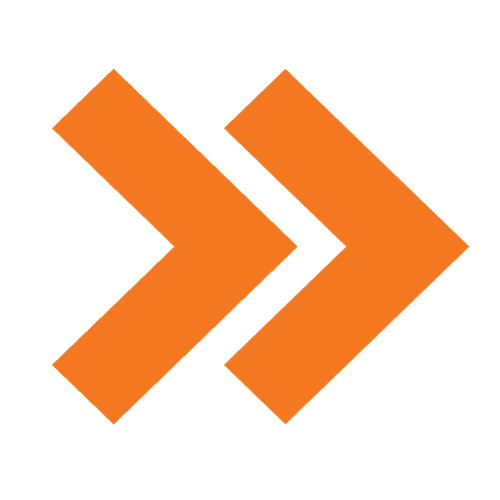 LevaData combines robust strategic sourcing techniques with cutting edge analytics to deliver real time and actionable cost savings insights. Globatom is a cloud-based technology that seamlessly connects all the various steps/players to get your product from point A to point B. It tracks, quantifies and links all the components of the import/export process into one simple, transparent environment. Freightera marketplace connects shippers with carrier prices. Over 3,000 businesses across North America use Freightera to save time and lower their shipping costs. Trucking companies use Freightera to fill their trucks and run profitable businesses. HiveTracker transforms how overall Supply chain actors get real-time end-to-end visibility. HiveTracker cloud data exchange platform design allows near real-time documents, goods and financial flows tracking, monitoring and securing. HiveTracker allows from real-time monitoring of events, task management, product quality compliance conformity, end-to-end transport, distribution and retail, overall performance and forecasting using business intelligence." Logistics providers use Lanetix to power their Revenue Transformation. Their workflow, collaboration, and CRM suite enables 3PLs and carriers to grow their revenue and profits, while competing on the basis of value—not just price. Lanetix leverages the Salesforce1 cloud platform to streamline workflows, improve operational visibility and share insight on any device, anywhere in the world. With Lanetix, you get the best of both worlds: an enterprise-grade system that addresses the unique demands of the industry, and the reliability of Salesforce1, the world’s most trusted cloud computing platform. Robby is changing the way products and goods move between people, stores and warehouses within the last mile. Our fully autonomous robots are ushering in innovative consumer touch points and logistics operational efficiency for businesses. LoadDocs is a mobile-first collaborative workflow management system for logistics and field services. Their next product Vector is a transportation management system (TMS) enabling streamlined communication and greater transparency into the over-the-road freight operations for trucking companies, shippers, and freight brokers. The platform is heavily focused on analytics and incorporates business intelligence into all workflows so that companies are empowered to make data-driven decisions. Planet designs, builds, and actively operates satellites while also delivering data to customers via a highly scalable web-based platform. Planet operates the PlanetScope (PS), RapidEye (RE) and SkySat Earth-imaging constellations. Planet's mission is to image the entire Earth, every day, and is revolutionizing the way geospatial imagery is processed, distributed & accessed. Evertracker has developed one of the first artificial intelligences for the logistics market. They can use it to revolutionize processes and provide you with a competitive advantage. Their artificial intelligence knows today what will happen in your logistics chains tomorrow. The drayage industry lacks a single source platform that allow drayage trucking companies to locate the best freight, skip rate negotiation, dispatch drivers, and pay on time. By eliminating freight brokers and using data and algorithms, Dray Alliance can decrease transportation cost for shippers and increase profit for the transportation providers. Bext360 provides a complete digital-first solution, utilizing Blockchain, Machine Vision, Artificial Intelligence (AI) and Internet of Things (IoT), to create more transparent and efficient supply chains that improves farmer income & livelihood and provides increased visibility to consumers. Sudu is a VC backed trucking services platform that utilizes big data, predictive analytics, and machine learning to connect companies that ship freight with a network of trucks and carriers. Some of the world's biggest enterprises depend on Sudu to ship freight. Truckers get upfront pricing and fast payment options at their convenience. A continuous stock level monitoring system and dynamic pricing system that lets consumers choose how much they want to pay for a product based on its expiration date. Wasteless continuously monitors stock levels, if an item is almost out of stock, the store is alerted. And if it has been on the shelf for too long, the price can be automatically reduced. Aquifi has developed unique 3D vision sensors for a portfolio of software applications to accelerate and automate processes in logistics, manufacturing and ecommerce. dimensioning, counting, identification, and inspection of objects using deep learning techniques developed specifically for their sensors. Bloomberg for Logistics -- ODYN is a predictive supply chain intelligence platform that helps shippers make better logistics decisions so they can reduce their working capital spend. We analyze the movement of everything that moves in the global supply chain using public data sets, private data sets, and our own low-cost pallet tracking solution so we can make predictions about what's going to happen.